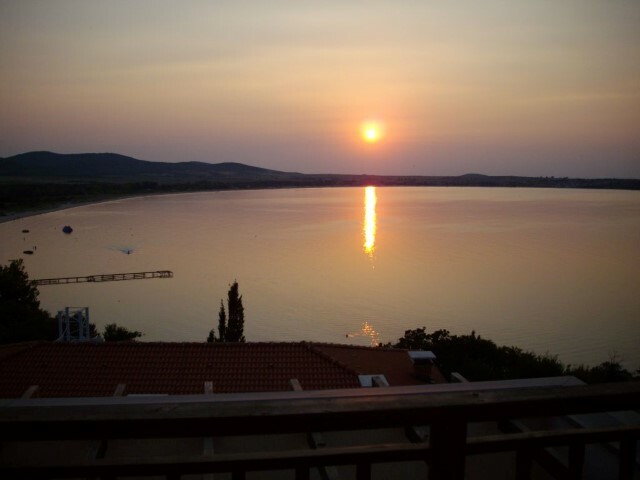 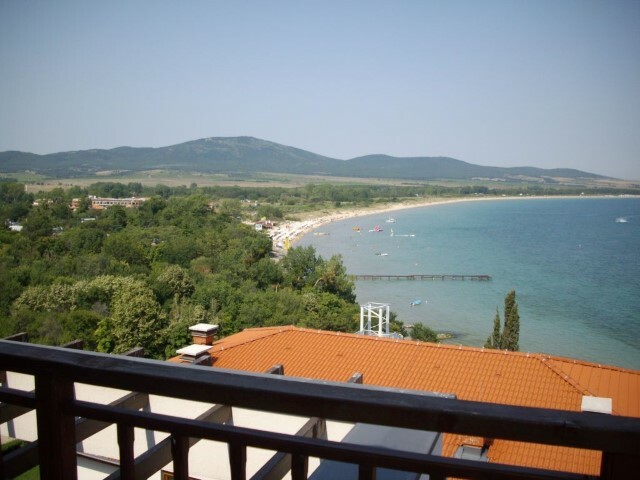 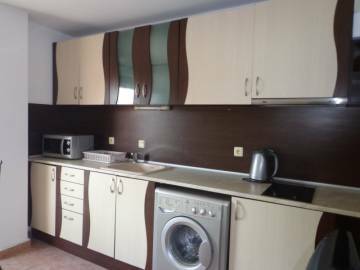 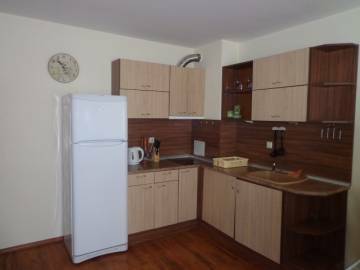 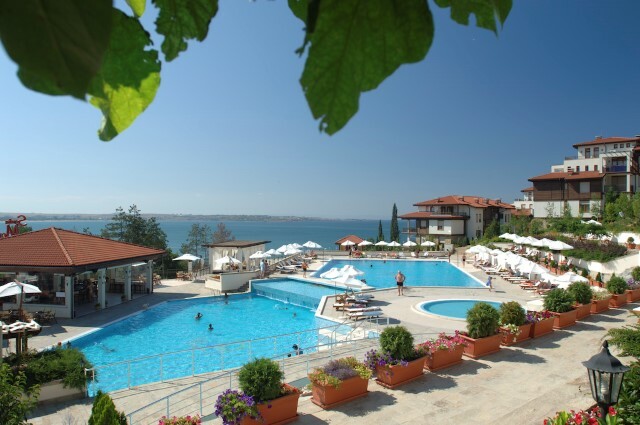 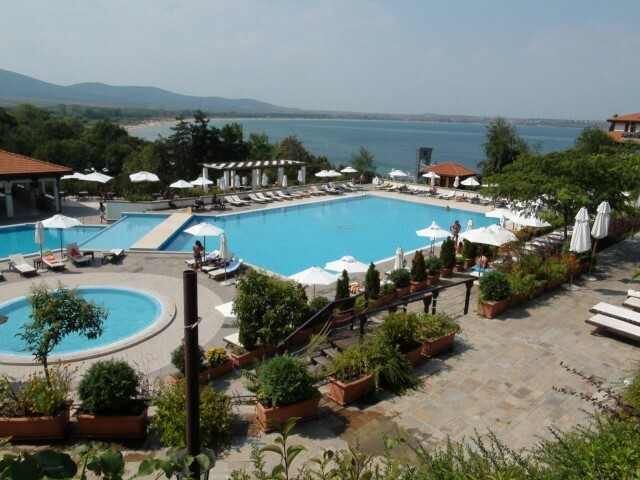 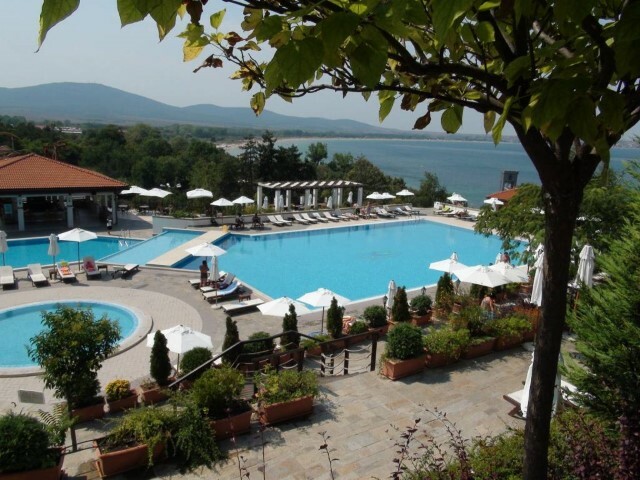 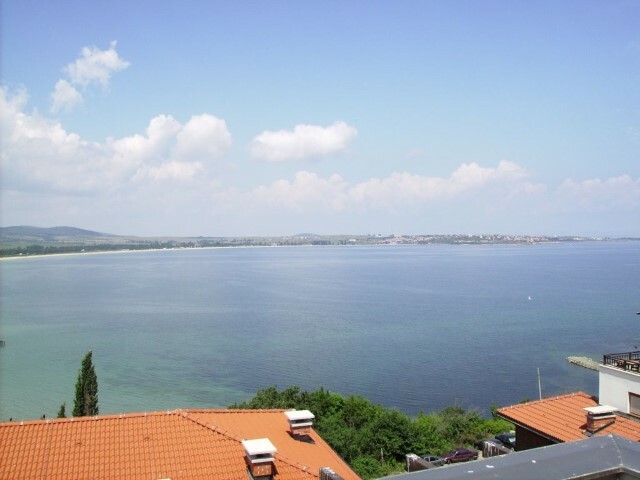 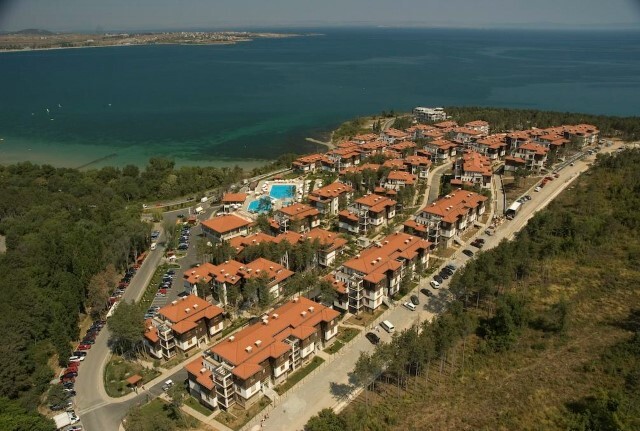 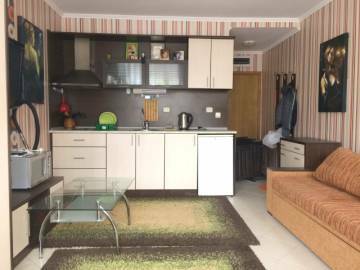 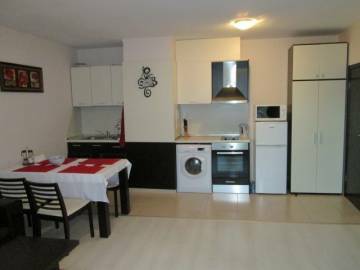 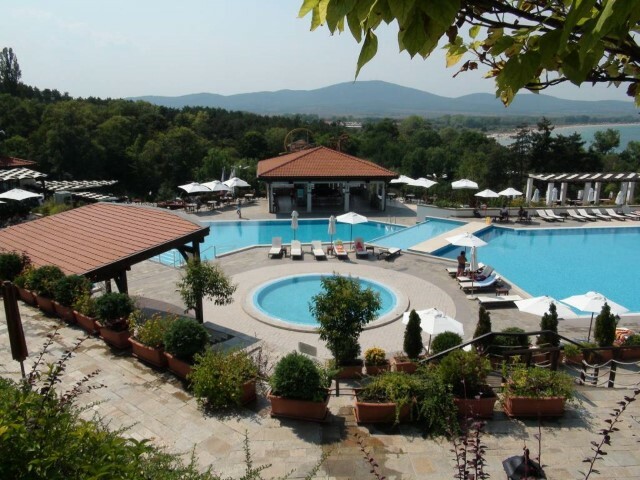 Description: The offered studio is located in the elite holiday gated village "Santa Marina", which in turn is located on the waterfront over the sea, just above the famous Tsarski plazh (Royal Beach), 2 km north of the ancient town of Sozopol and 34 km south of Burgas. 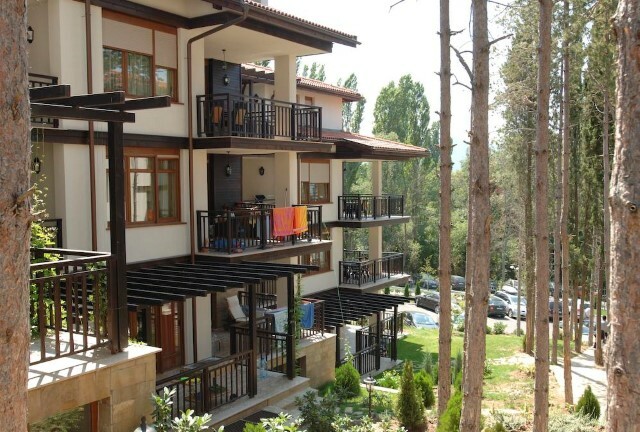 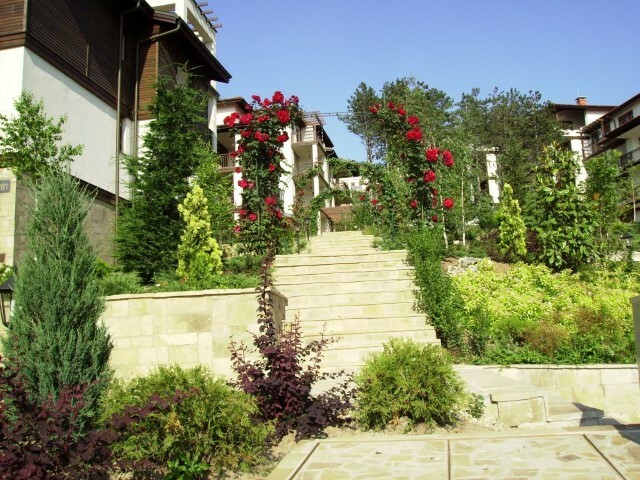 Picturesque pine forest that surrounds the complex, makes it even more cozy and pleasant place to live and stay. 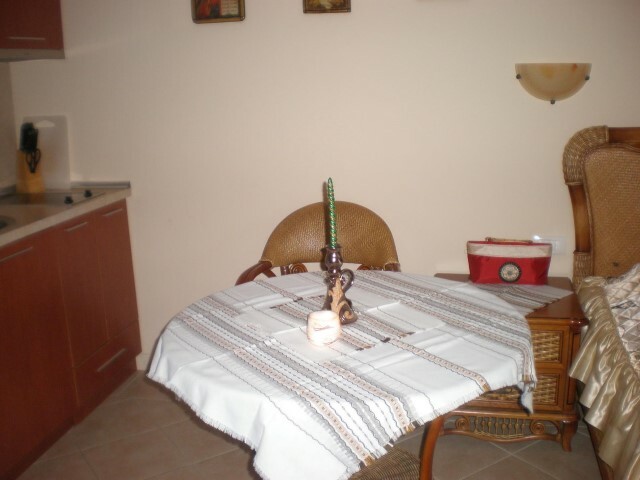 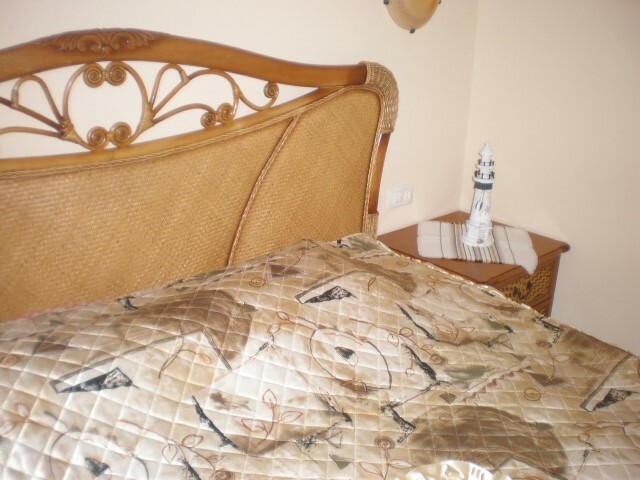 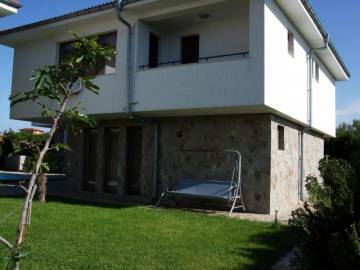 The villa where the studio is situated, is five minutes walk from the beach and 1 minute walk to the nearest pool. 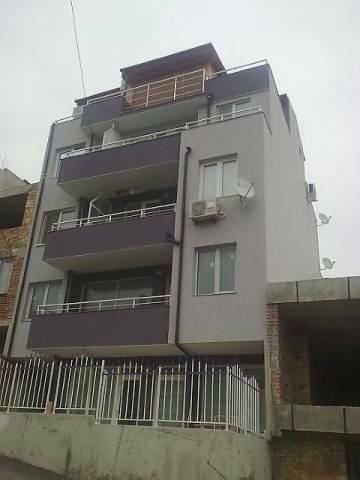 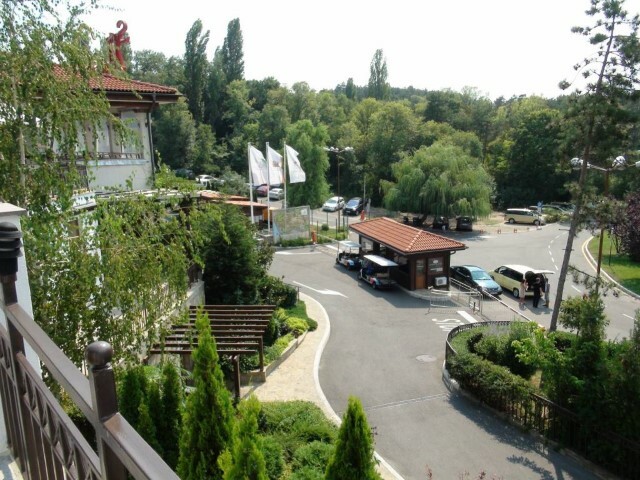 The studio is situated on second floor in a five-storey building, with a total area of 42,98 sq.m, with built-up area of 39,56 sq.m and has nice sea and park views. 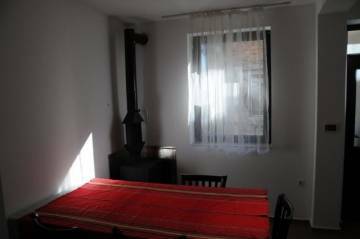 The studio consists of entrance hall, living room with kitchenette and sleeping area, bathroom with toilet and a terrace. 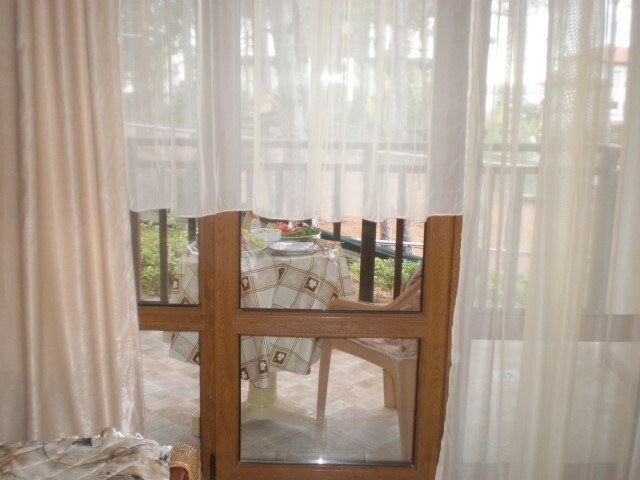 The flooring is terracotta tiled, the walls are fine plastered and latex painted, MDF doors, PVC joinery. 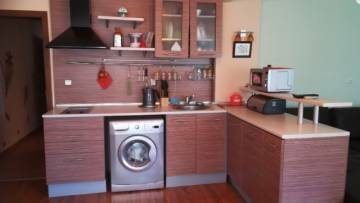 Bathroom with toilet is with terracotta on the floor, faience on the walls, fully equipped. 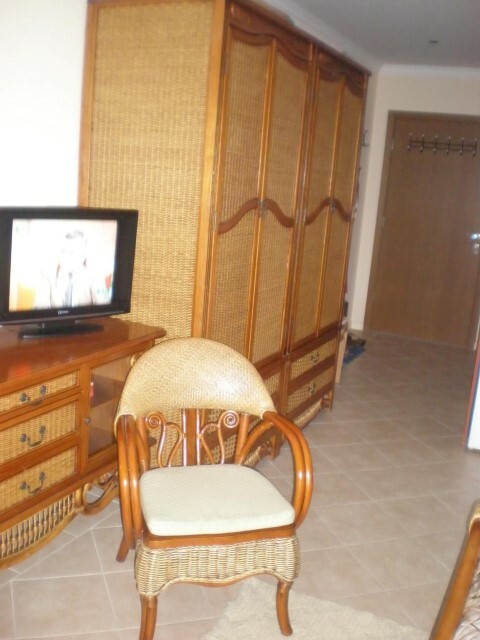 The studio is for sale fully furnished and equipped, kitchen cabinets with built-in appliances (ceramic hobs, microwave oven, cooker hood, refrigerator, washing machine, kettle), Malaysian rattan furniture: a double bed with bedside tables, two wardrobes, chest of drawers, comfortable soft armchairs and round table, TV, air conditioners, PVC table and chairs on the terrace. 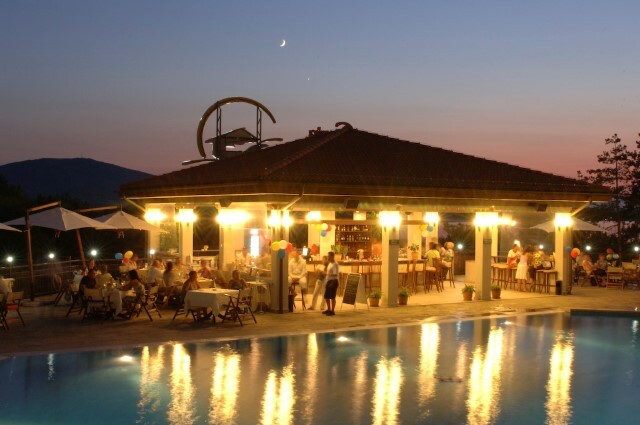 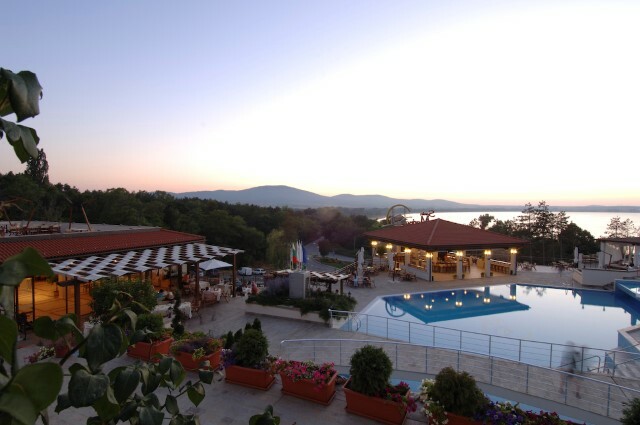 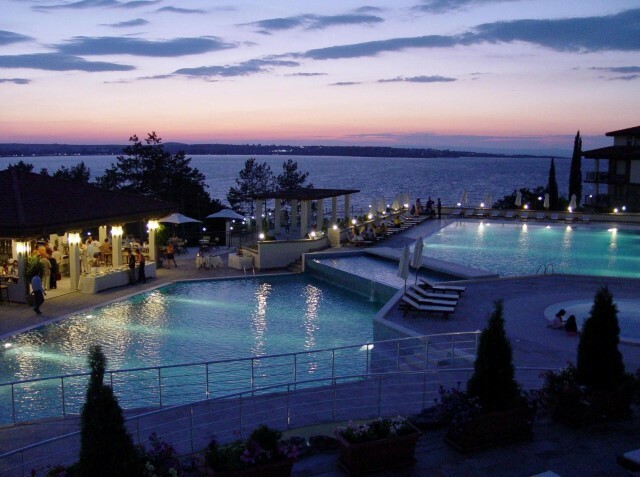 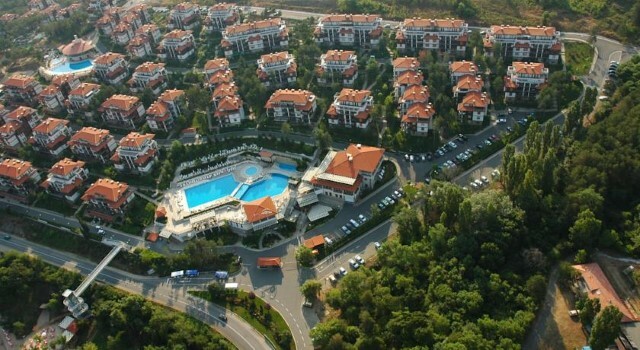 Holiday Village "Santa Marina" has a reception, numerous pools, solar terraces, restaurants, bars (two pool bars and piano bar), children's center, SPA centre, shops, tourist bureau and any additional services that make it an ideal place for vacations, long-term accommodation and even permanent residence. 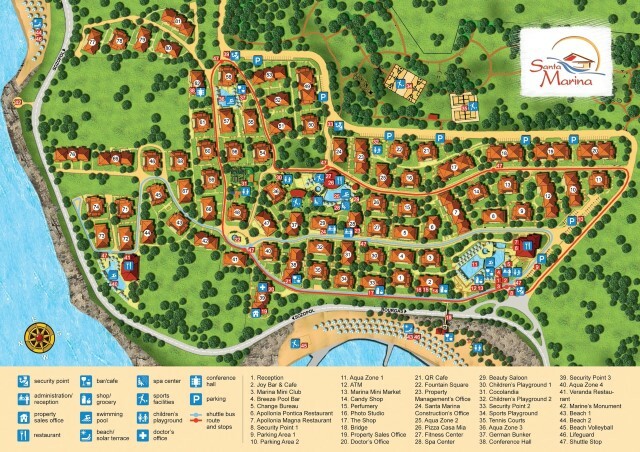 The holiday village consists of 80 3- and 4-storey villas with a variety of apartments and offers a wide range of services and entertainment. 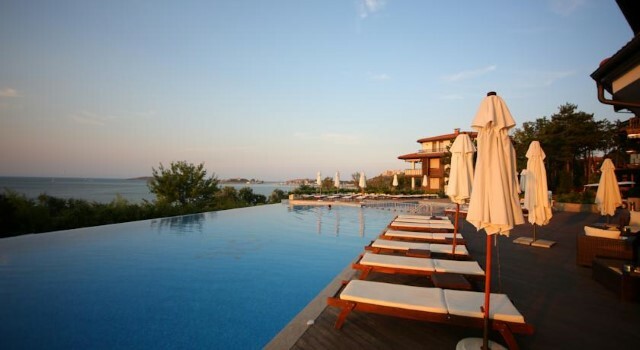 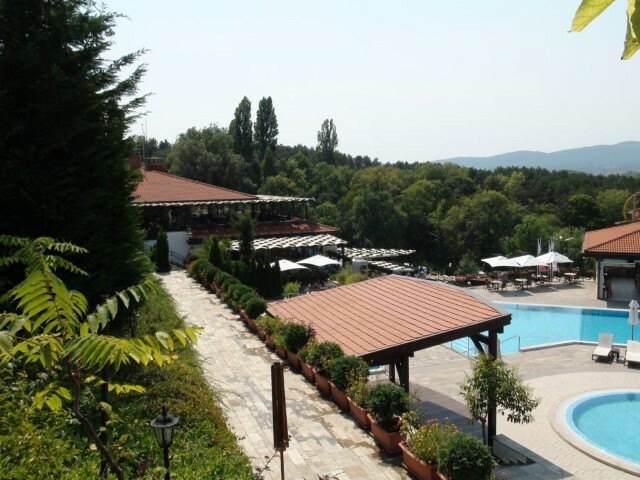 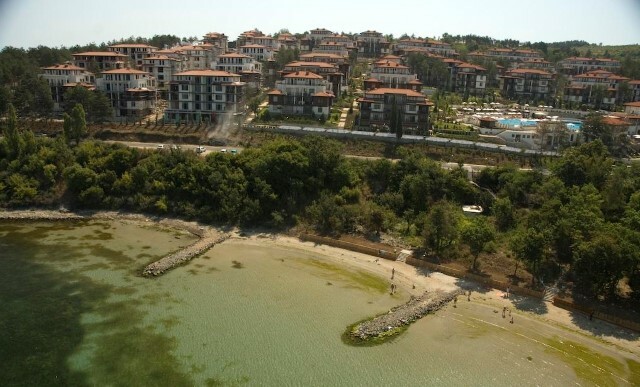 The villas are situated amphitheatrically manner along the bay and therefore most apartments have a nice sea view. 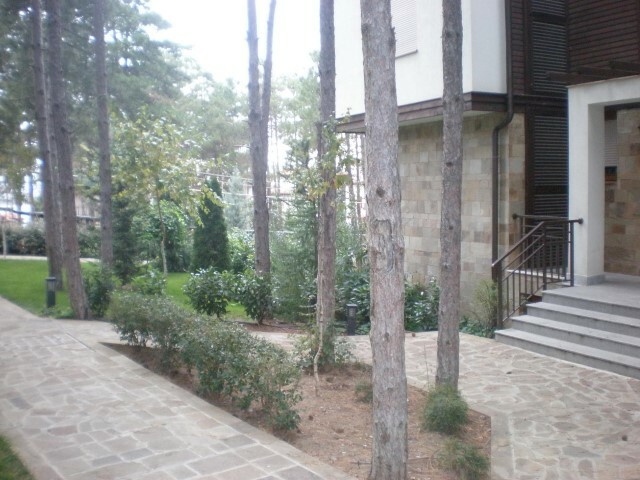 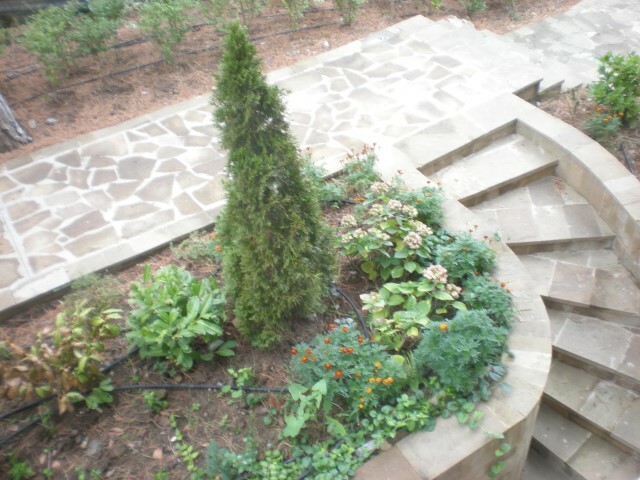 The complex has several gardens, paths and recreation areas. 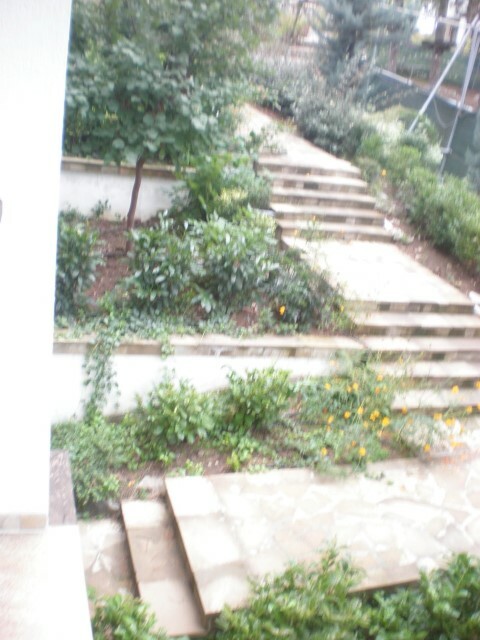 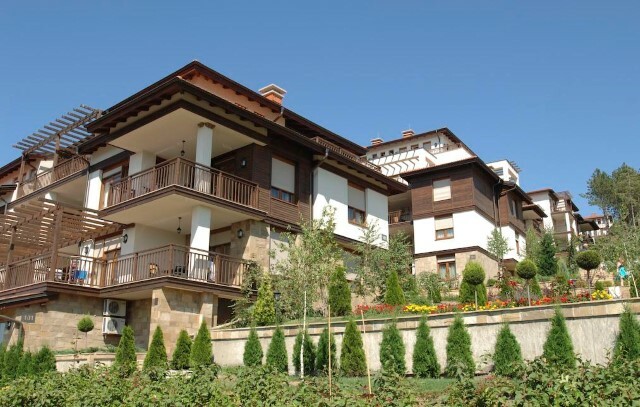 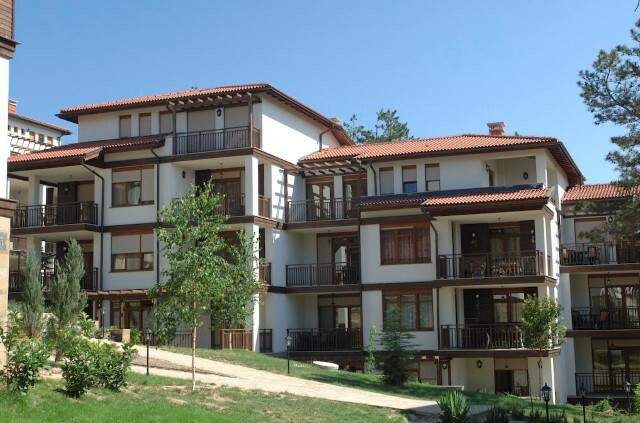 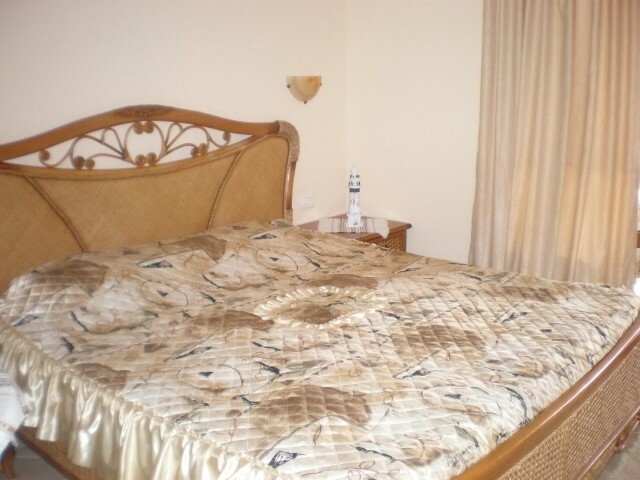 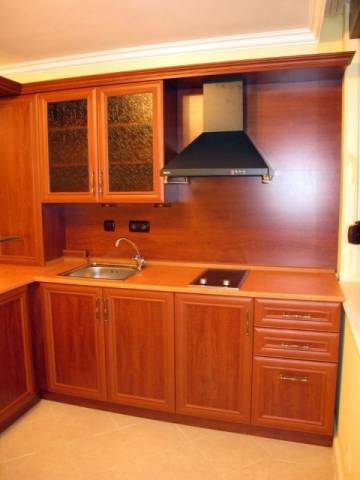 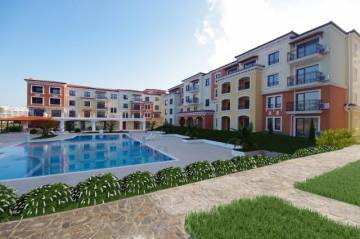 The complex offers the service "Property management". 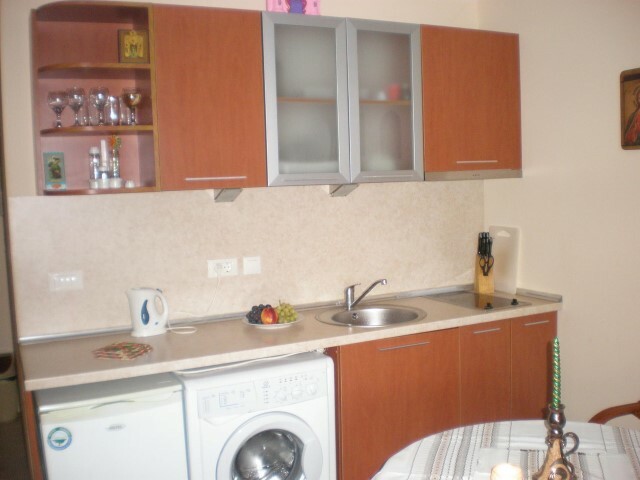 Annual maintenance fee: 13 €/sq.m. 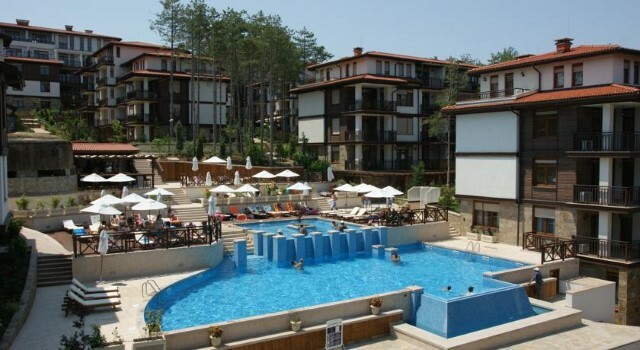 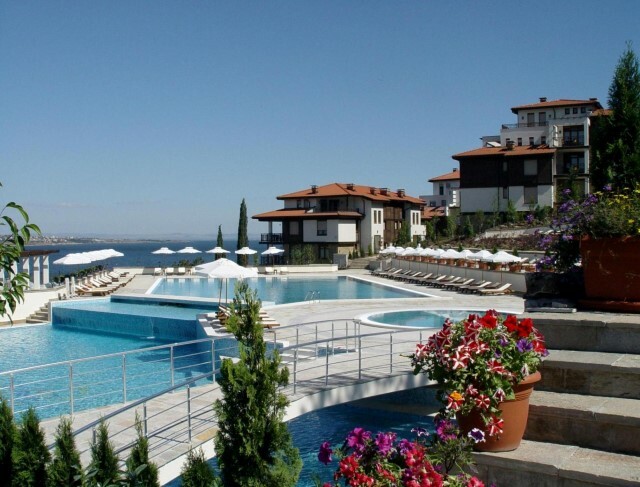 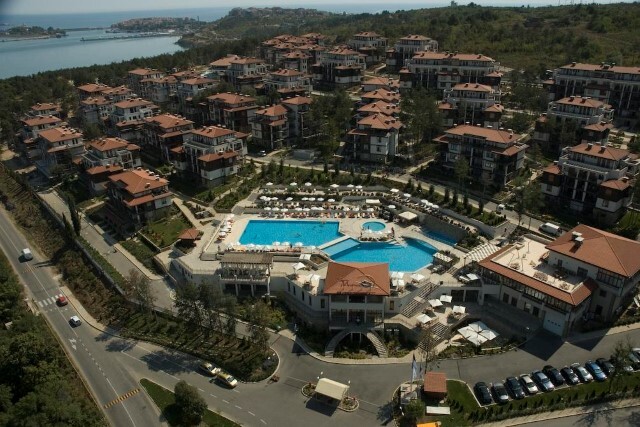 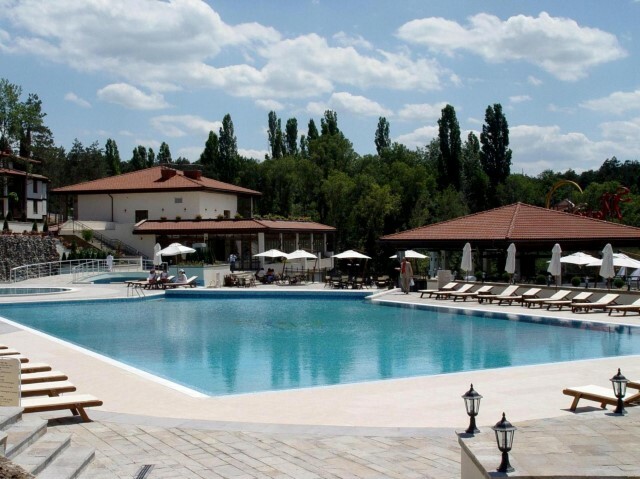 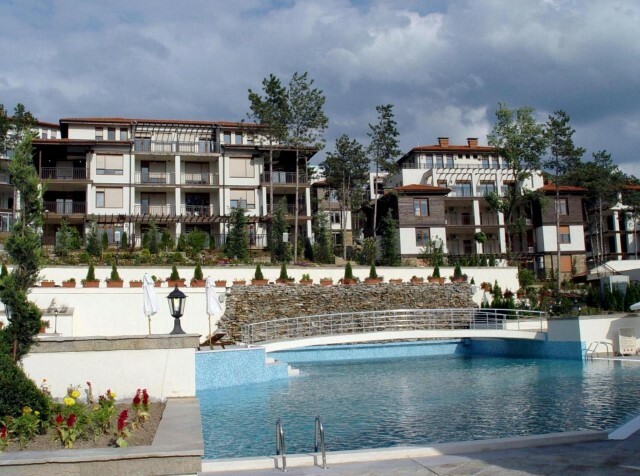 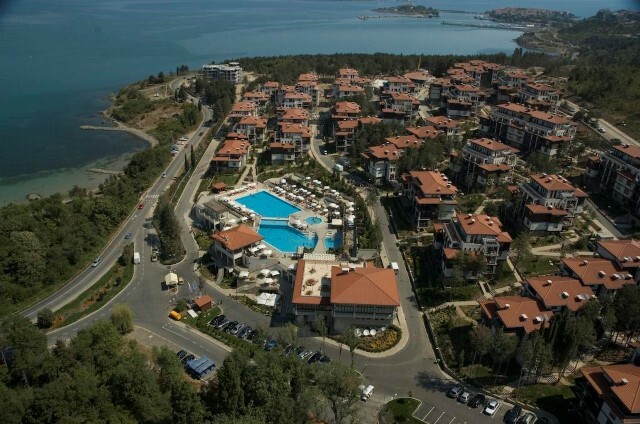 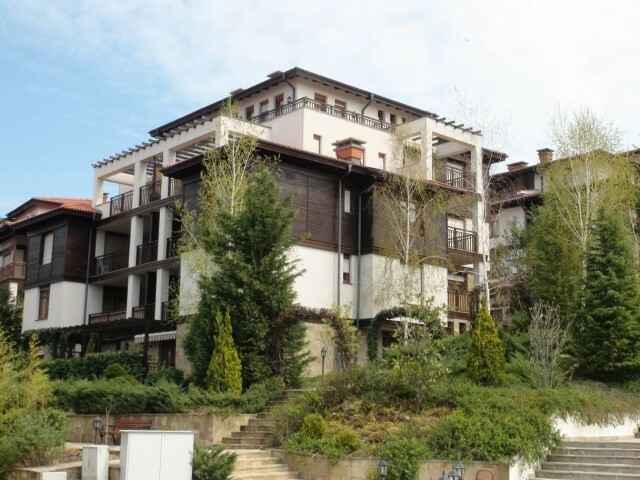 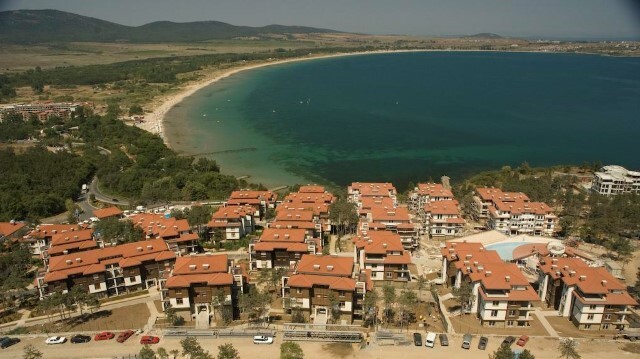 Attractive price for holiday village "Santa Marina"